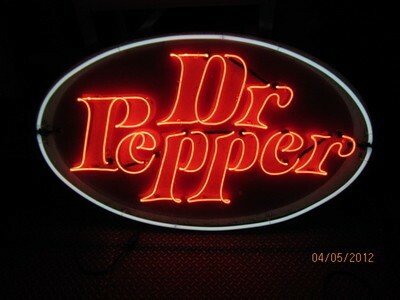 This oval neon Dr. Pepper sign measures 58″ by 34″. The sign is oval in shape and has text reading “Dr. Pepper.” The neons are red and blue. There is a small boarder that surrounds the sign.